The U.S. Department of Commerce announced its preliminary anti-dumping tax for Vietnamese shrimp during its 13th administrative review period. Currently, shrimp farmers in My Xuyen District, Soc Trang Province are focusing on improving ponds, treating pathogens, restoring infrastructure, and preparing necessary conditions for a new shrimp crop. According to its plan, My Xuyen District will stock 17,700 hectares of shrimp. Up to now, more than 500 hectares has been stocked in areas with early salinity such as Ngoc To and Hoa Tu 2. The remaining areas are in the renovation phase. Authorities especially provide instruction to shrimp farmers in improving ponds as well as managing water environment. They coordinate with specialized agencies to organize trainings and support farmers with scientific transfers of farming techniques. It is known that the breeding season for brackish water shrimp in 2019 lasts from March 9, 2019 to June 30, 2019 in My Xuyen District. Particularly, black tiger prawn farmers are suggested to complete their stocking in May, 2019 to ensure that they have enough time for rice intercrop or rotation. 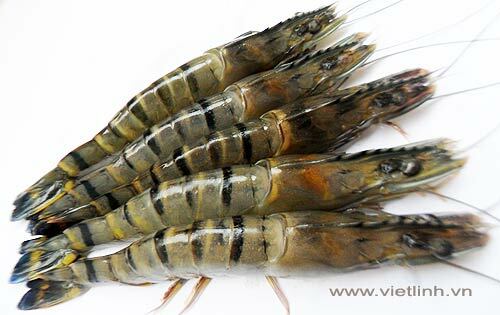 On April 9, the U.S. Department of Commerce (DOC) announced its preliminary anti-dumping tax for Vietnamese shrimp during its 13th administrative review period (POR13). As a result, 31 Vietnamese export businesses receive a tax rate of 0%. The DOC concluded that frozen warm-water shrimp products of two mandatory defendants, Sao Ta Company (Fimex VN) and Nha Trang Seaproduct Company, were not sold below the fair market price in the U.S. in the period between February 1, 2017 and January 31, 2018. Therefore, the DOC announced a preliminary tax for these two companies at 0%. 29 other Vietnamese companies that applied for different tax rates or pledged no shipments to the U.S. within the above period will also receive a 0% tax rate. For every flower season, longan orchards in Hai Duong Province attract over 10 thousand honey bees all over the country to these areas. According to beekeepers, honey is currently being sold at a stable price. Its wholesale price is about VND80 - 90 thousand/kilogram; its retail price is about VND110-120 thousand/kilogram for honey produced by Italian bees, or VND10-20 thousand/kilogram higher for honey produced by domestic bees. This year, the quantity of longan flowers is lower than last year, but the quality of honey is still guaranteed. With sunny weather, honey will be collected once every 4 - 6 days. The productivity of each harvest time is about 2 - 3 kilograms for each bee box. Understanding the characteristics of longan flowers, which attract bees for only about 25-30 days, beekeepers are preparing machines and supplies for their busy honeybee harvest season. According to the authorities, Quang Tri Province has a total pepper area of 2,503.1 hectares. Of which, the area of trees producing pepper is about 2,042 hectares. Each year, the newly planted pepper area reaches about 50 hectares. The average pepper yield reaches 10-12 quintals/hectare; the average output is about 1,500 - 2,000 tons/year. The province is striving for its target of reaching 2,500 - 2,700 hectares of pepper by 2020, and 3,000 hectares by 2025. The productivity is expected to reach 1.5 - 2 tons/hectare, and the output is expected to reach 5,000-6,000 tons/year. By 2020, there will be 10% and by 2025, there will be 15% of these pepper areas applying economical irrigation technology. Along with that, the province also aims to build 5 to 7 top-class pepper gardens for propagation purpose. So far, 62.6 hectares of pepper in Gio An Commune in Quan Tri Province have been put into production with European and American organic standards. The year of 2018 was also the first year farmers in Gio An Commune sold their pepper to Organics More Co., Ltd. They sold 18 tons of pepper at a selling price of VND78,000/kilogram, which was VND18,000 - 20,000/kilogram compared to the market price at the time. Ninh Thuan Province has suitable climate conditions and soil for growing grape. This is a crop with higher economic efficiency compared to other fruit trees. It annually brings a significant source of income for growers. According to statistics, the total area of ​​grapes grown in Ninh Thuan Province is 1,220 hectares. The annual output in the province is estimated at 31,310 tons. The total value of grape farming annually is about VND830 billion. Nguyen Van Moi, owner of the "Nho Ba Moi" farm in Phuoc Thuan Commune, Ninh Phuoc District, said that grape can bring an income that is 8-9 times higher than that of rice. With proper care, the total revenue of grape farming ranges from VND750-900 million/hectare/year depending on the variety. After deducting expenses, the income is from VND280-320 million/hectare/year. In addition, post-farming or processing grape products also bring high economic efficiency to growers. With more than 380 exhibition stalls and many typical products of the Red River Delta provinces, the "Trade, Agriculture, Craft Villages - Bac Ninh 2019" fair is an opportunity for local businesses to introduce and promote their brands. The fair has the presence of products made in and outside of Bac Ninh Province such as honey (from Bac Giang, Vinh Phuc, Ha Nam Provinces); aquatic products (Quang Ninh Province); dried tea, tea buds, honey (Thai Nguyen Province); Van Phuc silk (Hanoi City); fine wood furniture (Hung Yen Province); Cat Ba fish sauce (Hai Phong Province); Bo Bat pottery (Ninh Binh Province); rural industrial products (Thai Binh Province); essential oils, processed agricultural products (Hai Duong Province); agricultural products (Son La); pepper (Quang Tri Province); Phan Thiet fish sauce (Binh Thuan Province), along with agricultural products, handicraft and craft villages of Bac Ninh and other provinces. According to the Southern Institute of Water Resources Research, saline intrusion in the dry season of 2019 is likely to penetrate deeply at 40-50km in April. Especially during high tides in combination with wind, the rate of salinity intrusion can increase quickly and suddenly. For its collection of ornamental fish and fish larvae prepared for domestic and export markets in the period of 2016-2020, the Ho Chi Minh City Biotechnology Center introduces 17 fish species with 33 genera. Among them, there are 4 indigenous ornamental fish genera and 3 transparent genera.